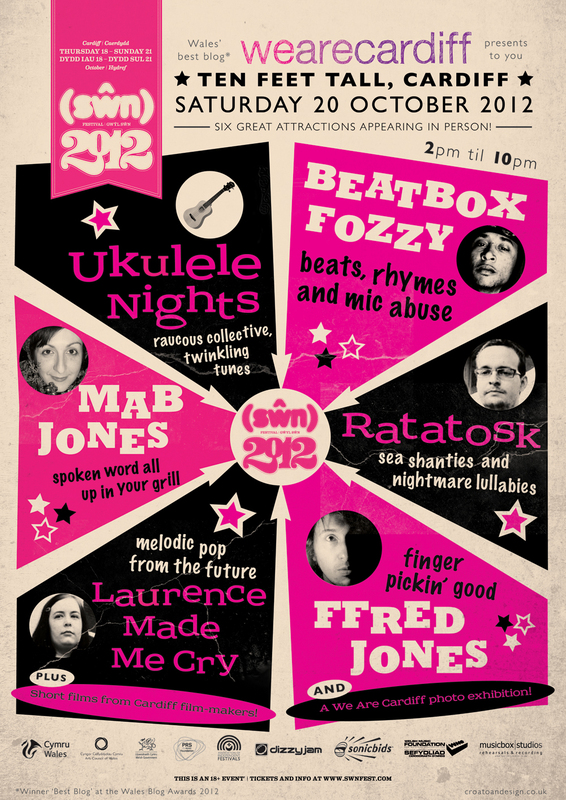 This year, we’re curating a stage at this year’s Cardiff-based musical cornucopia – SWN FESTIVAL! In the run up to the festival, we’re going to be running short profiles on each of the lovely people performing on our stage. Today, we’d like to introduce you to the lovely Rhodri Viney – aka, Ratatosk! Q. You’re playing the WAC stage at Swn this year! Can you describe your music / your sound please? What can people expect? A. 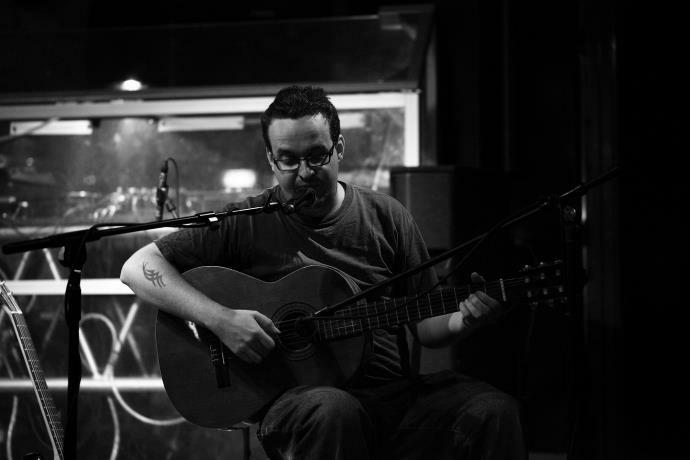 A guy doing his sad sad quasi-historical faux-dystopian musical thing, with guitars, harmonium, saw, pedal steel and whatever else is within reach. Expect some looping of instruments, and miserablist folk songs about shipwrecked sailors and the like. A. Erm, having a young son means my finger isn’t exactly on the pulse anymore, so my answer would probably be inaccurate! Q. Any local bands/artists/producers you’d tip for people to see? A. Firstly, I’m playing in the In Chapters band on the friday night – In Chapters is always tremendous fun and highly unpredictable, so I’d recommend that. No Thee No Ess have been sounding tremendous lately, Zervas and Pepper, Among Brothers, Islet and Sweet Baboo are always good to see too. I’m sure some of the young types I’ve not seen or heard of before are probably good too – so just go and see some music. Now I write them out, I’m surprised to see how many of my favourite things involve food… I must be getting older. And fatter. A. Yes, I’ve played Swn quite a lot – I think my other band, Right Hand Left Hand have played four times, the highlight was a headline gig upstairs at the Model Inn on the sunday night – a packed, excitable venue, long queues to get in, and we played well – everything I’d want a gig to be! Though I mainly remember Alex from Islet being told off for crowd-surfing-walking on the ceiling. Q. If people want to check out your music online, where can they do that?